The breeder behind Serious Seeds, Simon, is responsible for the material sold by the seed bank. He studied biology at one of the universities in Amsterdam and was always a non-smoker. (Non-tobacco-smoker, and therefore also non-cannabis-smoker, because in Holland it is common practice to mix marihuana with 'tobacco' and then roll a joint.) He only discovered the merits of smoking pure marihuana after his study while traveling through Africa in 1986. Today he remains one of the few Dutch, who smoke this wonder-plant in its pure form, as one should. From this moment on he started collecting seeds and put them into his private genetic library. Back in Holland he immediately started growing those seeds out for personal pleasure. Crossing what he thought were the best plants seemed a natural follow up. Contacts with other growers gave him access to different plants from which he also selected the best ones. The genetic background of this material was not always clear in this time. Simon taught biology at a high school when Alan Dronkers asked him to come and work at Sensi Seeds. This meant a drastic career-change for Simon, but he never regretted this step. After having worked a while for Sensi Seeds, Simon teamed up with two American “cannabis-refugees” and founded their own seed bank. In that year (1994) the'AK-47' and the 'Chronic' both won prices at the High Times Cannabis Cup inAmsterdam. After this exceptional success with his strains, the collaboration with the Americans was stopped and Simon founded his own seed bank “Serious Seeds” in 1995. Very positive! 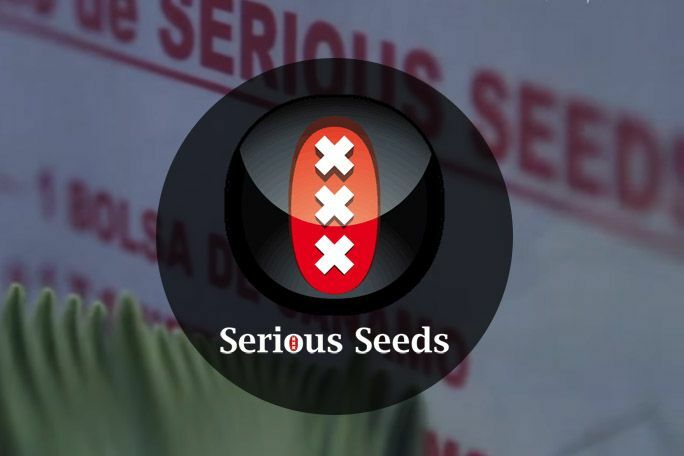 Serious Seeds has been supporting the medical cannabis movement since the very beginning and our strains are worldwide known to help patients with all different kind ofailments. In the last few years we have been asked by a lot of patients, if we can supply a variety with a reliable high content of CBD. This cannabinoid has almost the same medical properties as THC, but without the psychoactive effect (=high or stoned) of THC. Therefore it is suitable as medicine for patients who do not want this effect (e.g. children, people with psychological problems,elderly or very sick people). Simon, the owner and breeder of Serious Seeds, was very motivated to develop such a strain, since he has experienced the healing properties of CBD himself, while recovering from a serious accident that left him with numerous broken bones. We just released our first strain in our new medical product line: SERIOUSLY MEDICAL. The first medical strain is CBD-Chronic and was developed in collaboration with CBD-Crew. The favorite strains of Simon, the owner and breeder of Serious seeds, is Kali Mist, because of her uplifting effect. Simon does not like to be knocked out, but to be active, that’s why he likes Kali Mist so much. My favorite strain is AK-47, since I am a medical patient and I need a strain against my pain. AK-47 is my favorite high THC medicine. Very positive. This holy plant will be liberated and worldwide regulation and/or legalization will follow.